NEW BOOKS BY FREDA AND JULIA! - Matassa Toffolo Ltd.
NEW BOOKS BY FREDA AND JULIA! 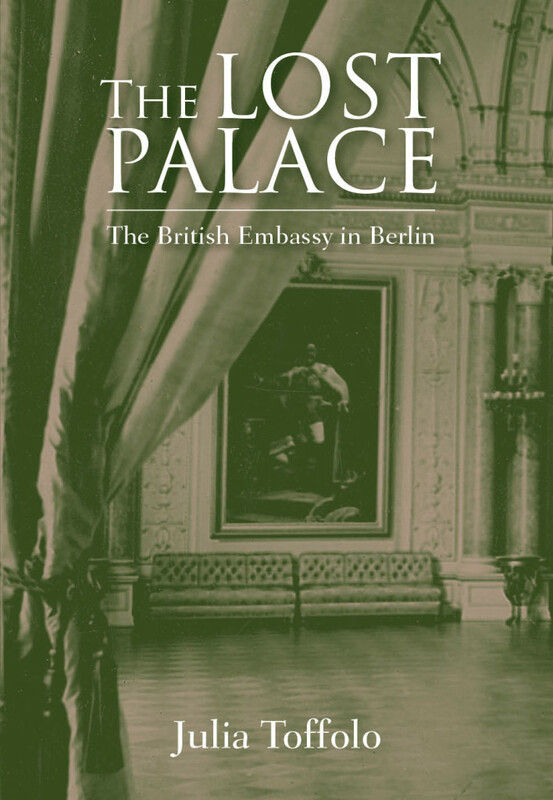 Published in August 2017: The fascinating story of the British Embassy in Berlin – the long-vanished grandiose Palais Strousberg – from the 1870s to the Second World War and beyond, told from the standpoint of the many famous people who visited, lived and worked in the building. A new book drawing on Julia’s experience as the Deputy Director of the UK Government Art Collection, where she kept track of, devised and installed art displays in UK Government buildings, including 10 Downing Street and British Embassies, High Commissions and Consulates-General all over the world. The grandiose Palais Strousberg at 70 Wilhelmstrasse in Berlin was built for the notorious railway entrepreneur Bethel Henry Strousberg . In 1876 the British acquired it as their Embassy. This book tells the story of this long-vanished, magnificent and atmospheric palace at the heart of Berlin’s government district. Located on the very doorstep of the dramatic and far-reaching political events of the next seven decades, the building bore witness to Germany’s painful journey through monarchy, civil war, republic, fascist dictatorship and two World Wars. Drawing extensively on many original and previously unpublished sources, this is the story of the many famous personalities who visited, lived or worked in the Embassy from the 1870s until the Second World War. Centre stage is the building’s diplomatic representational role, from the 1878 Congress of Berlin to the 1926 Berlin Olympic Games and the events that led up to the outbreak of the Second World War. It is a story of great contrasts and famous celebrities, from imperial balls and the drama of the start of the Great War, to the Embassy’s increasingly strained dealings with the higher echelons of the Third Reich. This is an account of diplomatic drama, glamour, international tension and, finally, destruction during the Second World War. Five decades later, following Germany’s reunification after the Cold War, the building was eventually ‘reborn’ as a spectacular piece of modern architecture on the very same site. This entry was posted in Book launch on July 12, 2017 by Matassa Toffolo Ltd..